VIZ Media, in partnership with ReedPOP and The Japan Foundation, will welcome iconic manga artist Masashi Kishimoto the renowned creator of the NARUTO manga saga, for a series of very special U.S. appearances during the 2015 New York Comic Con, which begins this week in Manhattan at the Javits Convention Center. As part of the promotion, VIZ Media unveils a new NARUTO App that is available now for free download from the iOS and Google Play stores. With the app, readers can enjoy a new NARUTO chapter every day that will be available FOR FREE for 7 days. Fans also can purchase and enjoy NARUTO digital manga volumes through the app, which synchs to the VIZManga.com platform. Readers that purchase any digital volume or bundle of NARUTO manga during the month of October from either the NARUTO App or VIZManga platform will be given a digital retrospective gift containing the series’ pilot chapter, editorial commentary, pivotal chapter reviews and a fan art gallery. Check additional VIZ Media partner sites for availability. VIZ Media’s WEEKLY SHONEN JUMP also jumps into the action with a special “Jump Back” campaign for NARUTO. Readers can revisit earlier chapters from the series, beginning with the series’ second story arc, starting in today’s digital issue! A complete full chapter of NARUTO will be added every week to the usual WEEKLY SHONEN JUMP line-up. Visit http://shonenjump.viz.com/ for more information. In the second story arc chapters, it's been two years since Naruto left to train with Jiraiya. Now he reunites with his old friends to find out he's still not the most accomplished of his former teammates. But when one of them is kidnapped, it's up to Naruto to prove he's got the stuff to save them! During October, VIZ Media further marks the conclusion of NARUTO with a selection of special manga bundles available starting tomorrow, October 6th, for a limited time until the end of the month. The final installment of the series, Vol. 72, debuts digitally on October 6th. 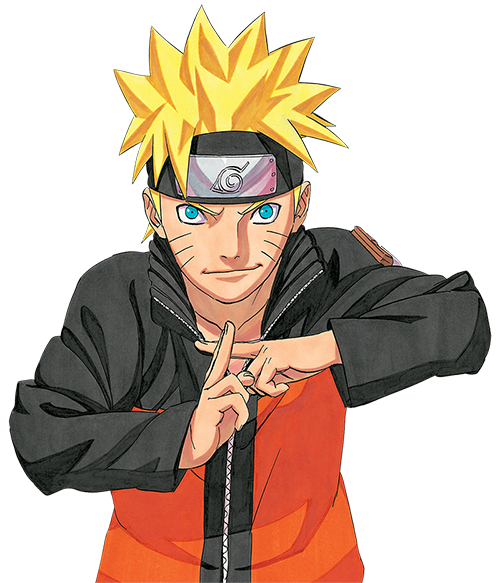 Fans are also invited to browse several NARUTO manga bundles that chronologically presents the entire groundbreaking series. The complete NARUTO manga series bundle containing all 72 volumes also features 2 additional one-shot manga titles by Masashi Kishimoto – MARIO and BENCH – that are not available anywhere else. NARUTO digital manga bundles are available exclusively from VIZManga.com and through the ComiXology platform. VIZ Media also offers special digital pricing on select individual NARUTO manga volumes featured on the VIZManga platform from tomorrow, October 6th, until October 31st. For more information on NARUTO manga and anime titles published by VIZ Media, please visit VIZ.com/naruto.